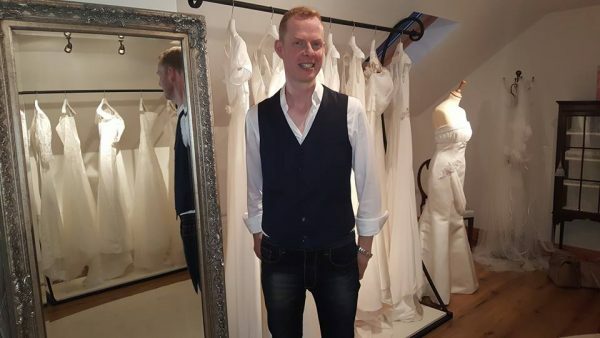 Local and very talented designer Thomas Heverin launched Ourania, his bespoke bridal collection over the weekend at his new studio in Ardagh - such beautiful creations! 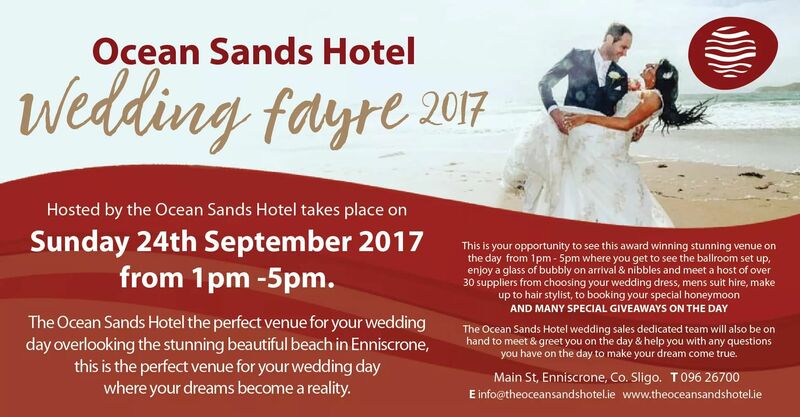 A Special Thanks to MOUNT FALCON HOTEL for the invitation to showcase the stunning hotel and gardens at their recent Wedding Event. 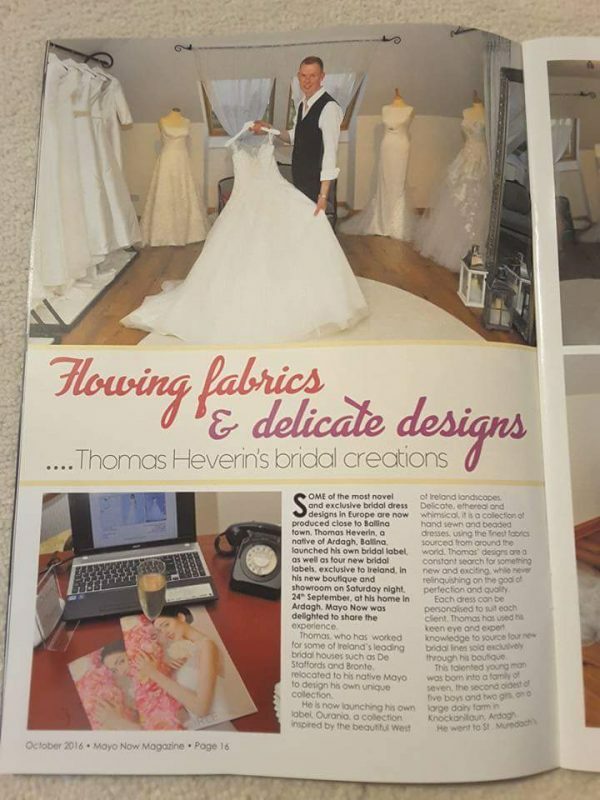 An exquisite setting as can be seen from the images. 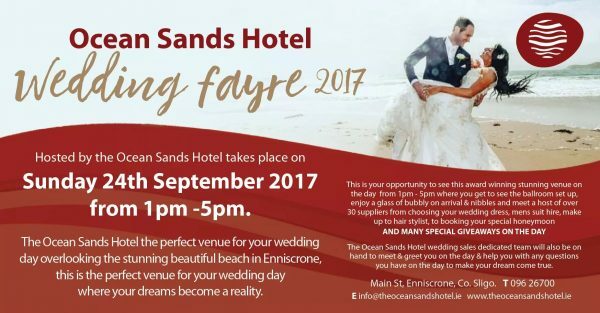 2018 Collections are arriving and we look forward to presenting these beautiful gowns at the Ocean Sands Hotel Wedding Fayre, Sept 24th. Drop in to get a sneak preview of new trends and advice on choosing the perfect style. 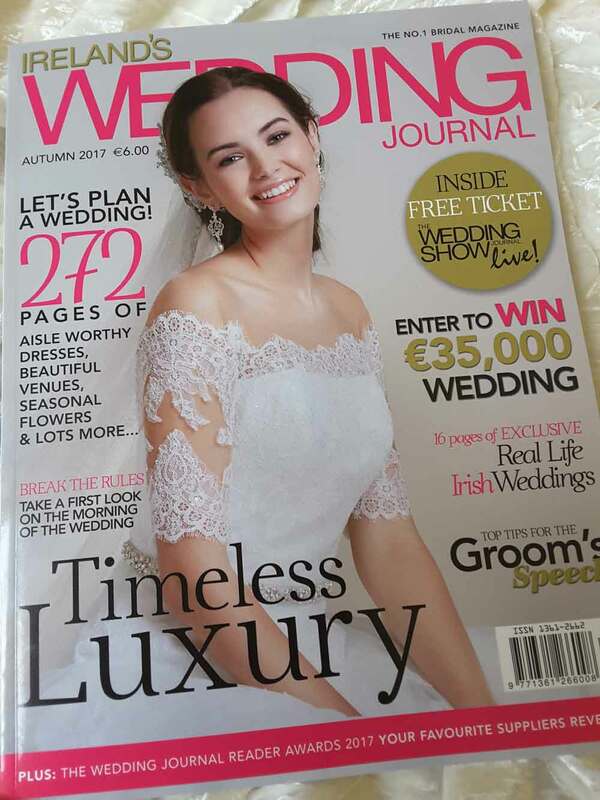 IRELAND'S WEDDING JOURNAL features this beautiful gown in delicate lace from the Lilly Collection as part of the New 2018 arriving shortly. ITS OUT, 25 IRISH WEDDINGS 2018 from CONFETTI Magazine. Features beautiful new advert from Ourania Bridal epitomizing the attention to detail to perfect an exquisite bridal look. NORTHWEST WEDDING EXPO. 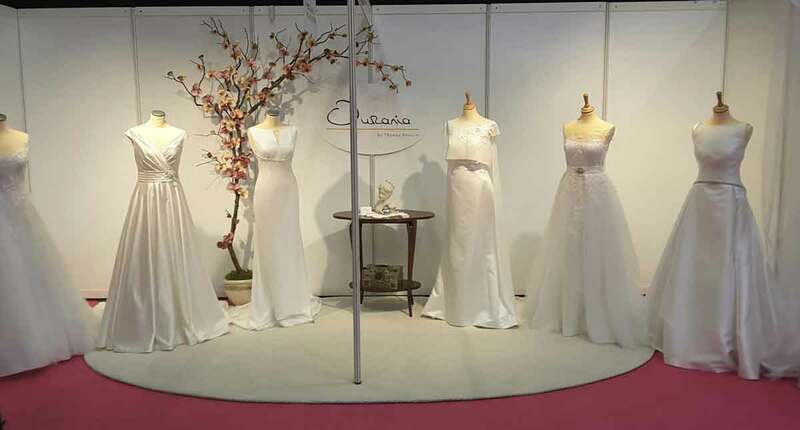 Just a few images of our stand a the expo if you would like to join us and see all the wonderful suppliers at this amazing event. 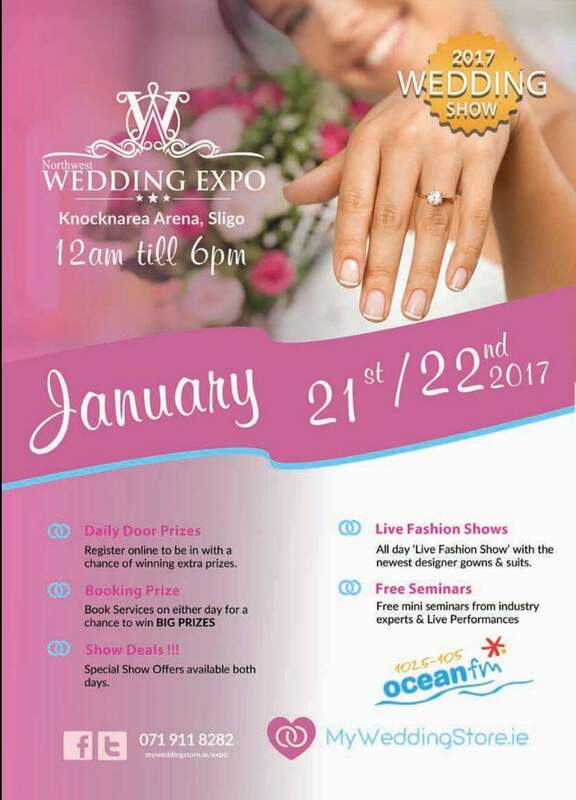 Really excited to be joining Ocean Media at this years NORTHWEST WEDDING EXPO to be held in the Knocknarea Arena in Sligo, Jan 21st and 22nd. Look forward to unveiling the New Collections 2017. 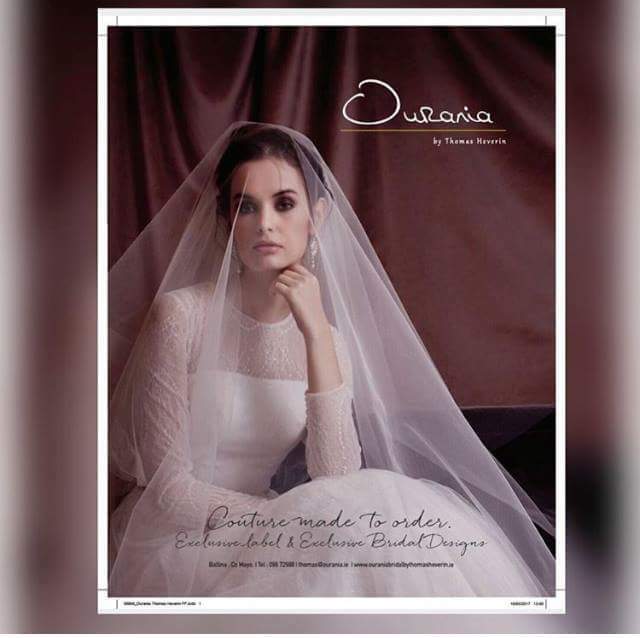 MAYO NOW features a wonderful double page spread following the successful launch of Ourania Bridal. 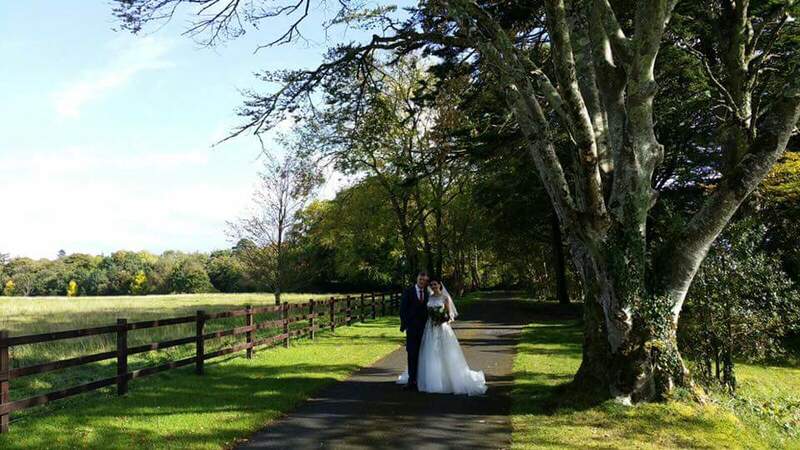 Thank so much for everyone who attended and Mayo Now for capturing the special moments.